A pair of Florida State juniors named Drew were named to the watch list for the most prestigious award in college baseball on Thursday. Pitcher Drew Parrish and infielder Drew Mendoza were among 55 players to make the Golden Spikes Award preseason watch list. 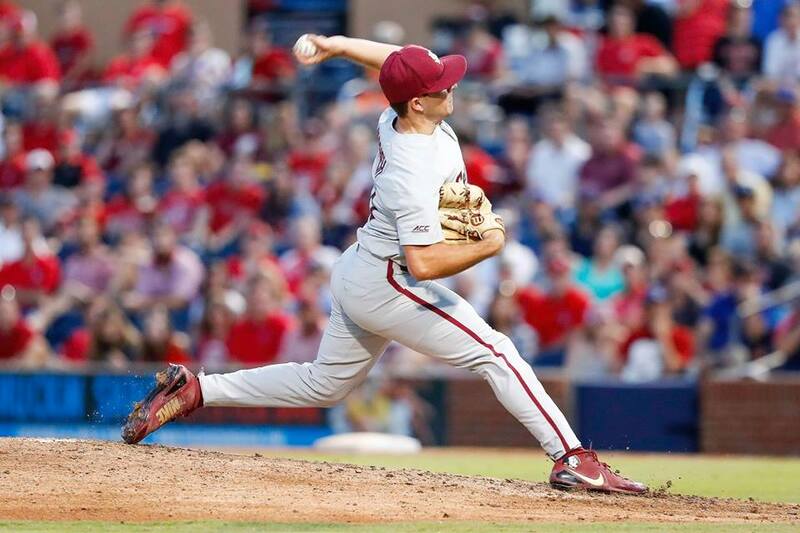 With four previous winners, FSU has more Golden Spikes Award winners than any other program. Parrish posted a 5-1 record last season with a 2.52 ERA and 128 strikeouts in 107 innings of work. Mendoza as a sophomore, hit .313 with seven home runs and 44 RBIs. The award is annually given to the nation’s best overall player. The last Seminole to win the Golden Spikes Award was Buster Posey in 2008. Previous winners were J.D. Drew in 1997, Mike Loynd in 1986 and Mike Fuentes in 1981. Parrish will likely be on the mound for FSU when the Seminoles open the 2019 season next Friday against Maine. It will kick off what will be the 40th and final season under legendary head coach Mike Martin.